Whether as a snack or part of a bigger meal, these air fryer chicken wings will not disappoint. Every time I make chicken in the air fryer I continue to be amazed at how good it comes out. 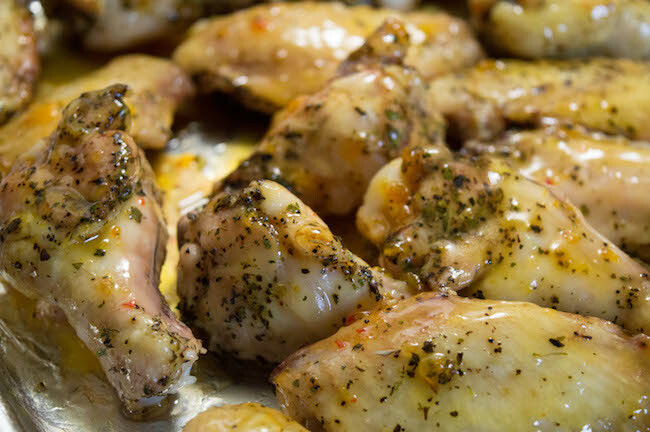 This air fryer chicken wing recipe is not different. I also added an option for cooking them in the oven just in case you do not have an air fryer. 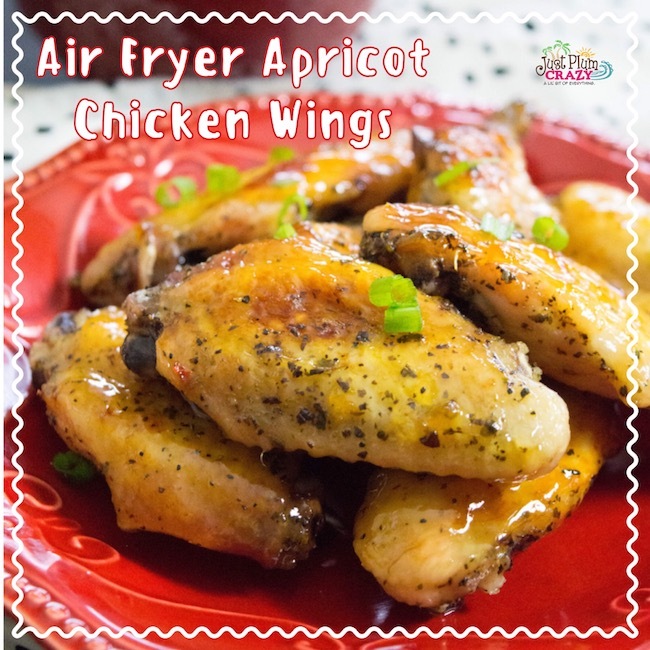 Air Fryer Apricot Chicken Wings Recipe! Whether you are looking for a great afternoon snack or a dish you can bring to the game or a barbecue, this is a great option. The apricot dressing is a perfect coating and as a dip with its sweet yet savory flavors. 1. Preheat air fryer for 3-5 minutes on 400°. 2. Rinse and cut wings, pat dry. In a large bowl season wings with salt, pepper, basil, parsley and oregano. 3. 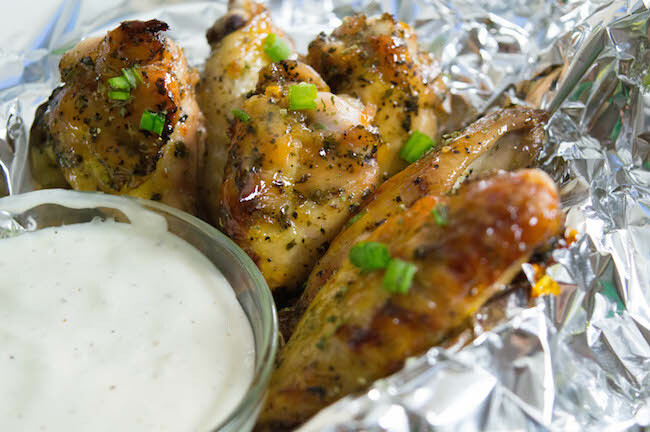 Place chicken wings in a single layer in air fryer. 4. Air fry for 12 minutes on 400°. 5. Flip wings and air fry for another 12 minutes. Be sure to check that the internal temperature of the wings are 165°. If you like your chicken wings crispy, then leave them in for a few minutes longer. 6. Mix sauce ingredients together. 7. Remove and with a cooking brush or spoon, generously add half of the sauce to the wings. 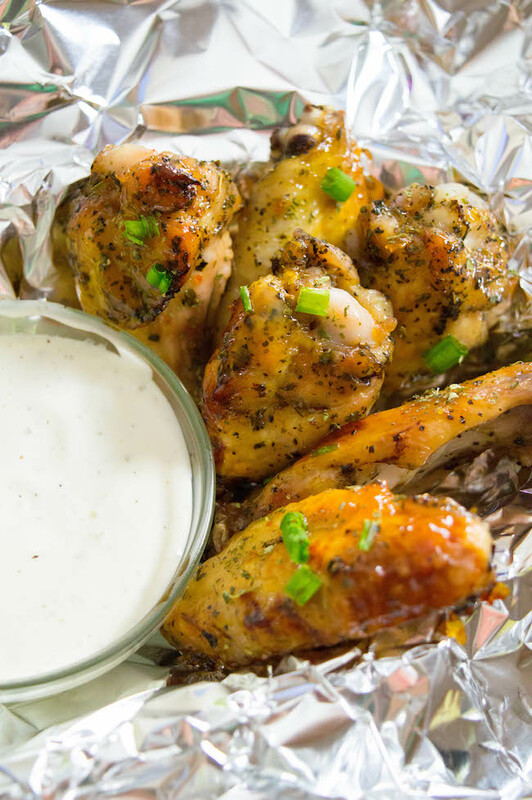 Return wings to the air fryer, cook for an additional 5 – 10 minutes or until chicken is cooked. 8. Serve hot and use remaining sauce as a dip or blue cheese and celery, if desired. 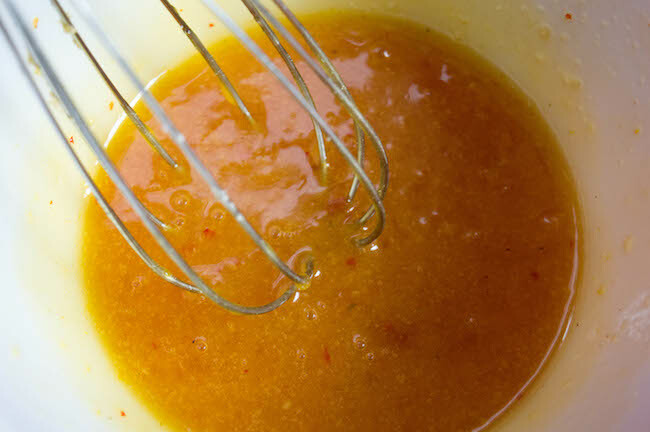 If you want to add some heat to your Apricot dressing, add a few flecks of some red pepper flakes and you will have an air fryer chicken wing with some sweet and some zing! Of course not everyone has an air fryer (but we do recommend everyone get one!) – so I wanted to add an option for making these delicious wings in the oven. Rinse and cut wings, pat dry. In a large bowl season wings with salt, pepper, basil, parsley and oregano. Add wings to a greased baking pan. Flip wings and bake for an additional 15 minutes. Remove baking pan, and with a cooking brush or spoon, generously add half of the sauce to the wings. 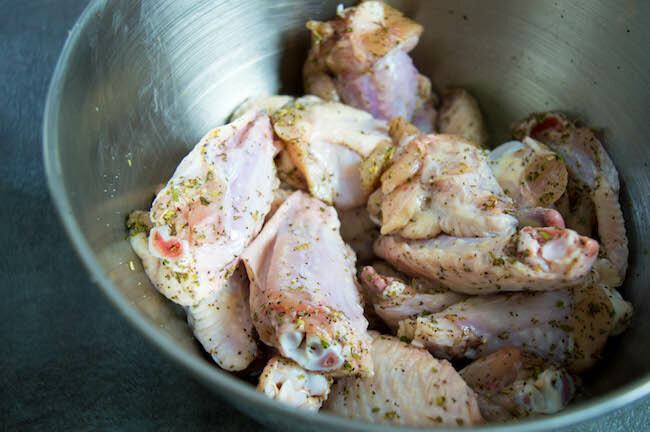 Return wings to the oven, cook for an additional 10 minutes or until chicken is cooked. Serve hot and use remaining sauce as a dip or blue cheese and celery, if desired. 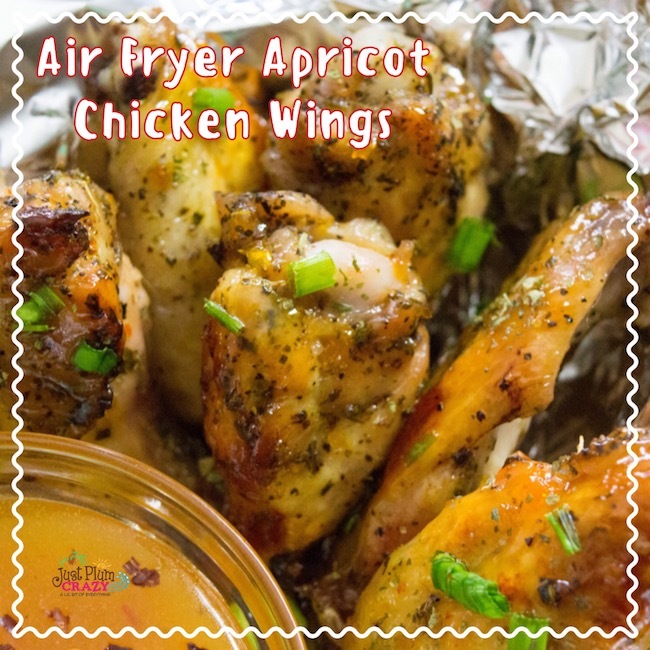 Sweet and savory apricot air fryer chicken wings. Preheat air fryer for 3-5 minutes on 400°. 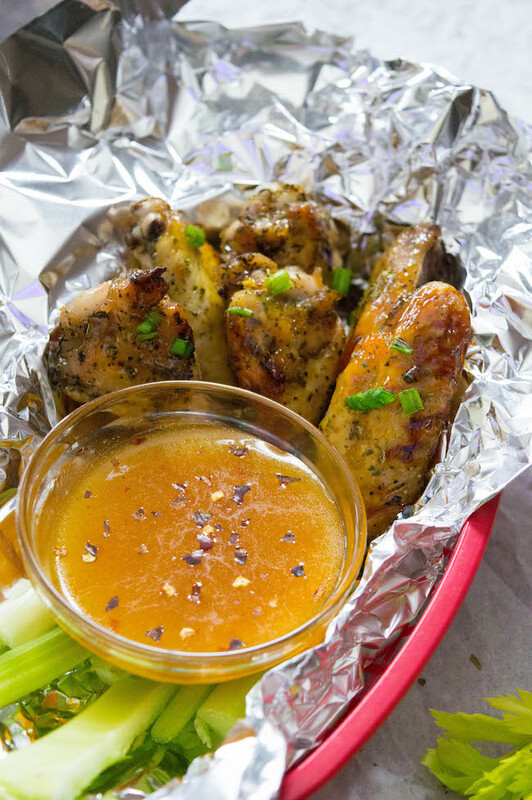 Place chicken wings in a single layer in air fryer. Air fry for 12 minutes on 400°. Flip wings and air fry for another 12 minutes. Be sure to check that the internal temperature of the wings are 165°. If you like your chicken wings crispy, then leave them in for a few minutes longer. 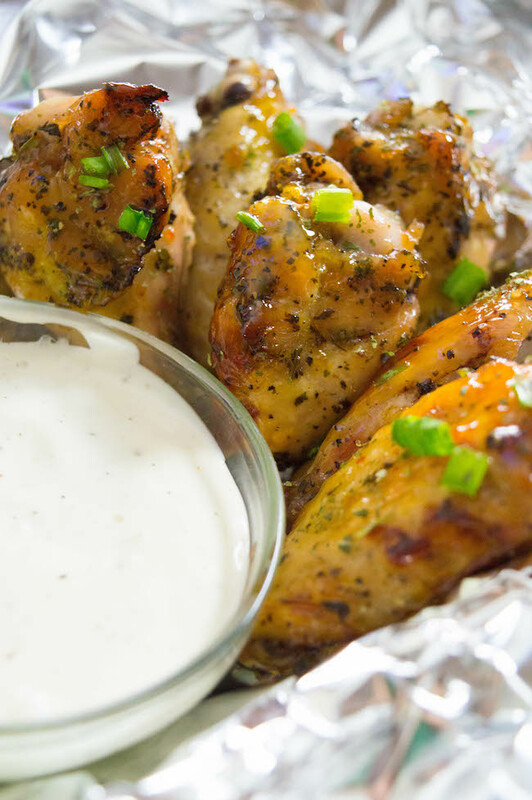 Remove chicken from air fryer and with a cooking brush or spoon, generously add half of the sauce to the wings. 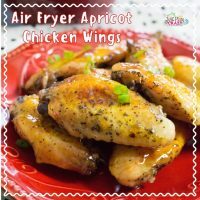 Return wings to the air fryer, cook for an additional 5 - 10 minutes or until chicken is cooked. Don't have an air fryer? No problem! You will use all the same ingredients as above and cook as follows. Add wings to a greased baking pan. Bake uncovered for 25 minutes. After 25 minutes, flip wings. Bake for an additional 15 minutes. 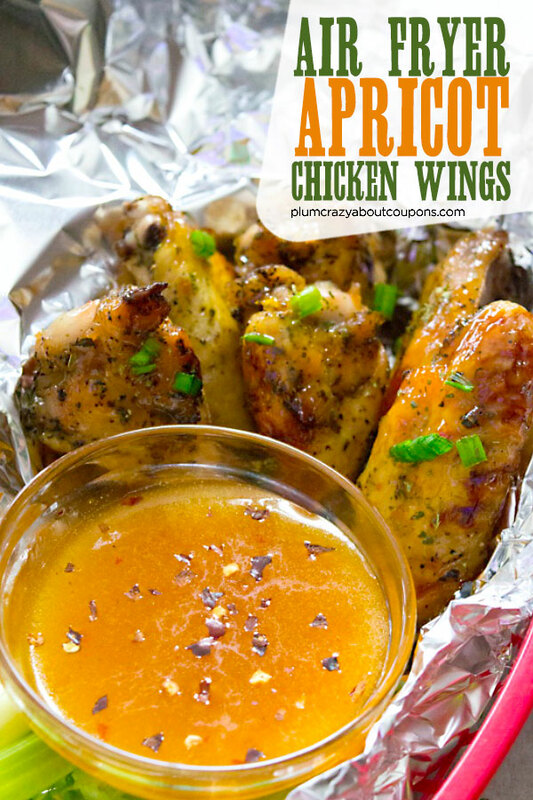 Remove baking pan, and with a cooking brush or spoon, generously add half of the sauce to the wings. 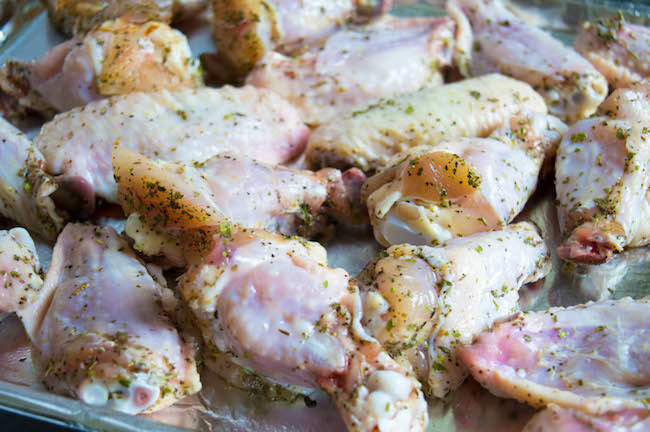 Return wings to the oven, cook for an additional 10 minutes or until chicken is cooked.